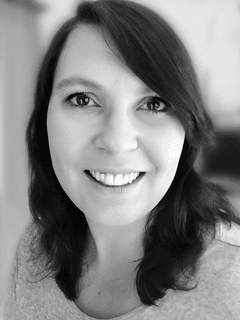 I’ve been talking to a few of my mummy friends lately about the dental hygiene of our kids – random, I know! Think it’s got something to do with the fact that our little ones are starting to lose their first teeth and all (I’m bracing myself for the day the tooth fairy comes to our house; Becky can’t wait!). 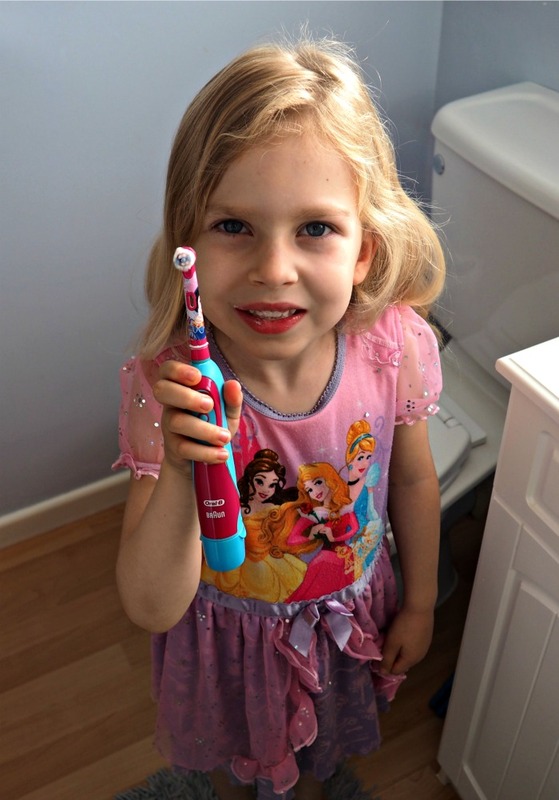 And when I mention that we have been using an electric toothbrush for Becky since her 5th birthday, there’s always a lot of interest in that, so I thought I’d put together a little review in case anyone else is thinking of upgrading to one. Just to pre-empt, this is not a sponsored post, and I’m not a brand ambassador for Oral B in any shape or form (though I should be, judging by the amount of people I have converted! Ha!) – not that that would influence my opinion anyway. But ever since my dentist recommended to me to start using an electric toothbrush around 2 ½ years ago, it’s really revolutionised my life - yes, that dramatic! – and I have become a little evangelical about it. I can’t describe how clean my teeth feel after using the Oral B (I have the Oral B Pro 4000, in case you’re wondering), and since I’ve started using it, I’ve got John, my parents and John’s parent on to this, too, and they all love it as much as me. So when I discovered that Oral B do a kids version, and that it’s available in pink and a Disney Princess design, I knew that Becky would love it, too. It’s recommended from 5 years upwards, which was the perfect timing, as we started using it on Becky when she had just turned 5. And what can I say? It's as brilliant as I'd hoped. It has a smaller brush head than the adult version and performs really thorough cleaning through 5600 side-to-side movements per minute. It also has a two minute timer, which is great, so even when I’m not standing over Becky to make sure she brushes her teeth properly, she knows how long to brush for. It has honestly made such a difference to the tooth-brushing experience. 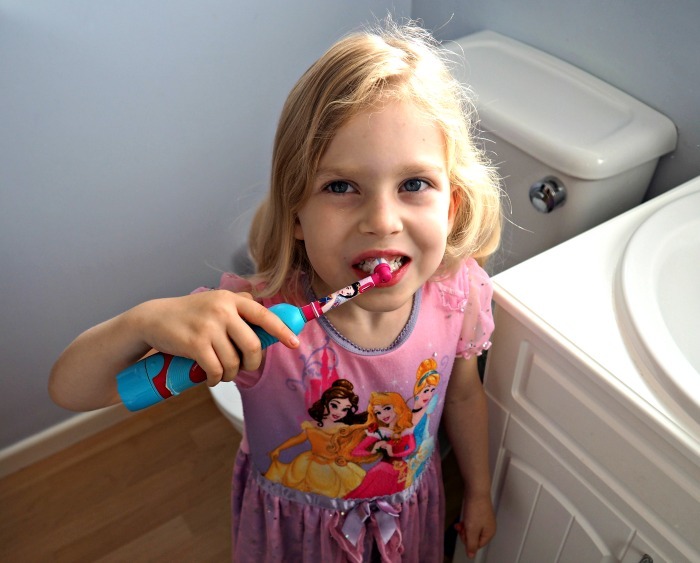 Becky loves using it – obviously primarily because it’s pink and features Disney Princesses – but also because she sees Mummy and Daddy using theirs, and I think it makes her feel all grown up having her own electric tooth brush. I’m also reassured that her teeth are brushed properly, because there isn’t much that she can do wrong, as the toothbrush takes care of everything automatically. I usually let her do her own teeth in the morning, without much supervision, so she learns to do it properly herself and to be in charge of her dental care, and in the evenings I usually go over her teeth one more time, just to make sure that we have covered all nooks and crannies. So far, at each dentist appointment, her dentist has been very impressed with Becky’s teeth – no tooth decay or nothing there, which I think is a good result for our little sweet tooth! We have got the battery powered one for Becky, and we are perfectly happy with it. There is a rechargeable version available, too, I believe, but I almost find the battery one more practical, as it takes two AA batteries and we’ve only ever had to replace the batteries after three months of use day in, day out, two times a day, which I think is pretty good going! And with a purchase price of £9.66 (we got ours from Amazon – bargain! ), this has easily been one of the best purchases for Becky so far. The toothbrush comes also in a boy’s version – I’ve seen an Avengers one, a Disney Cars one, a Star Wars one, and a Mickey Mouse style – and for girls there are the Disney Princesses and a Frozen version, too, so there’s plenty of choice for each taste. When Alex is big enough, we will definitely be using it on him, too, as I can thoroughly recommend it.